North Shore Distillery, makers of some reputedly delicious gins and vodkas, have added an absinthe to their repetiore: Sirene Absinthe Verte. 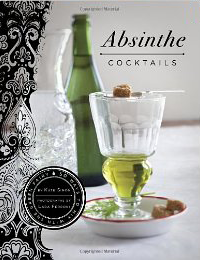 They tell us they use a "fairly traditional" approach to this absinthe and we are dying to try it here at Inabsinthia. Sirene has been getting some pretty good reviews on the Wormwood Society forums. 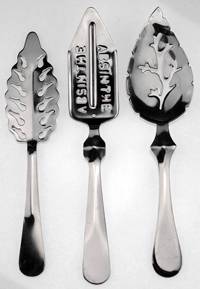 Speaking of the Wormwood Society forums, an upcoming American absinthe was recently announced. Todd announced his upcoming absinthe, which will be distilled in Denver Colorado. He promises green (no star) anise, fennel, veronica, grande wormwood and coriander in what sounds to be quite the enticing brew. 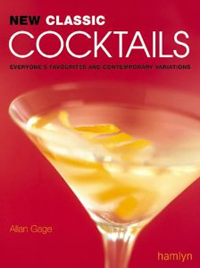 Keep an eye on the forum thread for more info, as the absinthe and the distiller is so new, no web site has even been set up yet.